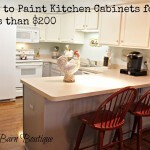 How many times have you walked into your kitchen and thought, I NEED NEW Kitchen Cabinets!!! Oh, but the costs! If you go the Remodel Contractor route, you will quickly find the costs are overwhelmingly high. 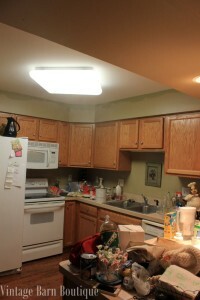 I’m not sure which is worse; the out of pocket expense of new cabinets or the weeks/months of renovations inconvenience? 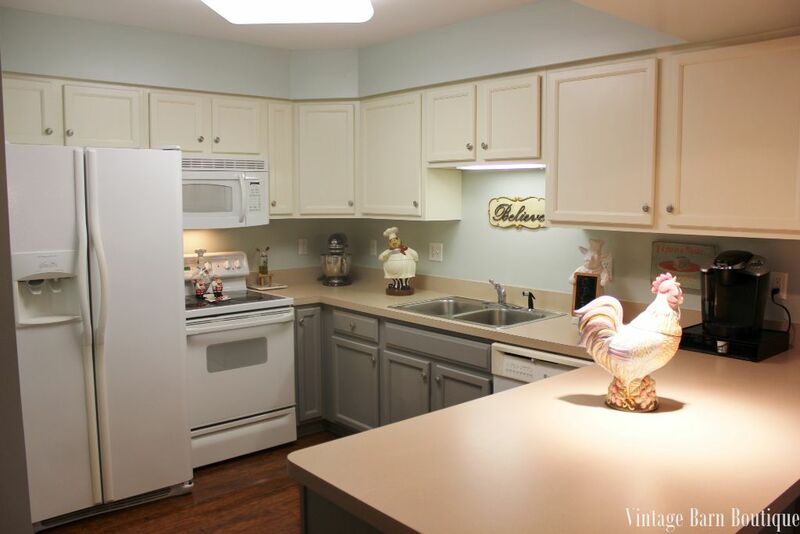 What if I told you that you can once again fall in-love with your kitchen cabinets without the high costs of cabinet replacements and construction inconvenience? And the best part? This is something you can do by yourself! You don’t need to be artistically talented nor do you need to be a professional painter to achieve professional results. What you do need, however, is to learn “How-To” transform your kitchen using paint specifically formulated for such projects. 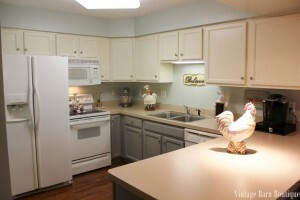 Whether you need a kitchen or bathroom makeover, I am here to help! With so many different paint products available, it is difficult to know which paint line to use. This isn’t the time to “test” a product on your kitchen cabinets. What if you begin the project and realize you have made a huge mistake? Where do you go? Who do you go to? YouTube videos are great; however, can you call that person when you run into a problem? It’s the “What-If’s” that prevent many people from getting started. 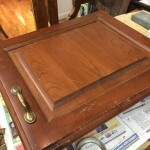 I will be walking you through the process itself, transforming a 1990’s kitchen from Honey Oak to an updated, clean look using Country Chic Paint’s All-In-One Vanilla Frosting and finishing the transformation with a scratch resistant coating called Tough Coat. The best part? These products have Zero to Low VOC’s.